It’s back. Just when you thought you didn’t have to suffer through anymore poke-wars with your mom, that weird chick you knew in high school, your creepy uncle, or your ex…think again. Currently at the top of the ‘most downloaded’ list, the Facebook Poke app is not much like the pokes you used to get via Facebook, though the premise is the same. Facebook Poke goes beyond the traditional message-less poke (although you can still send one of those) and allows users to send a text, photo or video poke. The difference between the Facebook Poke app and just sending a traditional text, video, or picture message is the app’s self-destruct feature. Yep, you heard right. Pictures of questionable moral standard can now be sent to that guy you met at the bar without fear of it showing up on his Facebook or Twitter feed the next day. 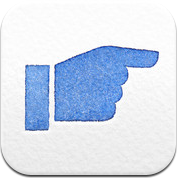 Facebook Poke allows the user to, after taking the photo or video, set a timer for 1, 3, 5, or 10 seconds. This timer represents how long the recipient has to view the ‘poke’ photo or video before it disappears forever. As what seems to be an added security step (to prevent screenshots from being snapped) the recipient must press and hold the screen to view the poke. If a finger slips or is deliberately removed from the screen while the countdown is in action, the ‘poke’ disappears forever. It is, basically, Snap Chat. That isn’t to say that the girl in the apartment above you won’t somehow figure out a way to take a screenshot of your…erm…embarrassing duck face photo. However, if she does, the Facebook Poke app is courteous enough to let you know by placing a little flash icon beside her name. Is there anything you can do about it? Well, no. But at least you can brace yourself for the potentially embarrassing aftermath. The Facebook Poke app also has a few other features such as a paint-style section that allows the user to add text or colored pencil-like lines to photos.